Bank CDs and Mattresses vs. Inflation – Which Wins? In simple terms, inflation is defined as an increase in the general level of prices for goods and services. Deflation, on the other hand, is defined as a decrease in the general level of prices for goods and services. If inflation is high, at say 10% – as it was in the 1970s – then a loaf of bread that costs $1 this year will cost $1.10 the next year. Currently, the inflation rate in the US hovers right around 2%. Historically, inflation in the US has averaged 3.29% from 1914 until 2016, but it reached an all-time high of 23.70% in June 1920 and a record low of -15.80% in June 1921. Many remember the high inflation rates of the 1970s and early 1980s when inflation hovered around 6% and occasionally reached double-digits. So how does inflation affect your retirement savings? The answer is simple: inflation decreases the purchasing power of your money in the future. Consider this: at 3% inflation, $100 today will be worth $67.30 in 20 years – a loss of 1/3 its value. Said another way, that same $100 will only buy you $67.30 worth of goods and services in 20 years. And in 35 years? Well your $100 will be reduced to just $34.44. A certificate of deposit – a CD – is what’s known as a time deposit account – a bank agrees to pay interest at a certain rate if savers deposit their cash for a set period of time. Generally speaking, the interest rate paid by the bank increases as the term (the length of time the bank has your money) increases. CDs are also insured by the Federal Deposit Insurance Corporation for banks and by the National Credit Union Administration for credit unions. Unfortunately, there was not enough data going back more than 100-years, but I suspect the returns would have been the same. If you are looking for average stock market returns over a long period of time, you are likely to get different numbers from different sources. This is because your answer really depends on a number of variables, including which index you review, whether dividends are included or not, whether the effects of inflation are calculated, etc. Most financial professionals would agree, however, that the long-term data for the stock market points to an average annual return of about 7%. For the period 1950 to 2009, for example, if you adjust the S&P 500 for inflation and account for dividends, the average annual return comes out to exactly 7.0%. But if you invested in the S&P 500 from 2000 through 2009, your average annual return was -0.9%. Includes reinvestment of dividends. Source: Dimensional Fund Advisors. Although there are times when buying a CD might be appropriate, generally speaking, buying CDs should not be part of your long-term retirement strategy. 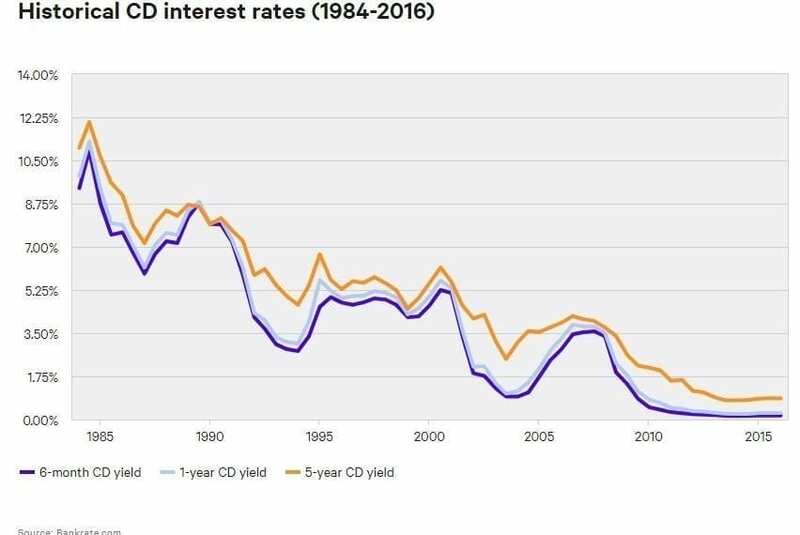 CD rates today just don’t keep pace with inflation. And putting your money under a mattress is worse (and probably uncomfortable too). Instead, I encourage you to talk with me about the thousands of financial products that provide better options. And remember that over long-periods of time, the stock market has outpaced inflation, today’s CD yields and hiding your money under your mattress. But before you invest in anything, consider the risk/reward trade-off, your goals and your time horizon – and call me to discuss.